110V Ductless Heat Pump in Minisplitwarehouse.com Mini-split heat pumps are not only great solutions for whole home but make good retrofit add-ons to houses “non-ducted”. 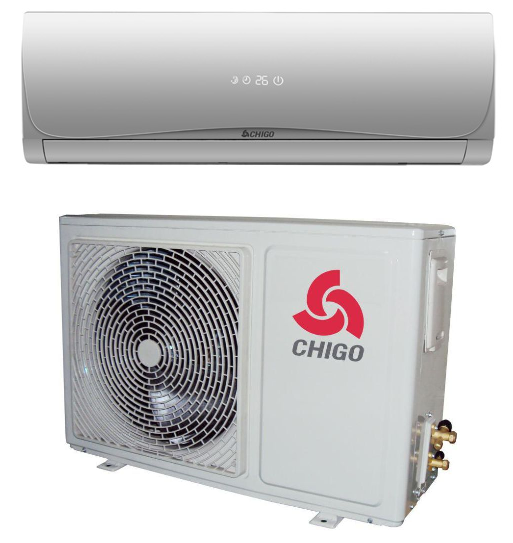 Get Chigo 9000 Btu 16 SEER 110V Ductless Heat. Price: $609.99 ex. tax. Call us 877-770-3548 or visit our website. 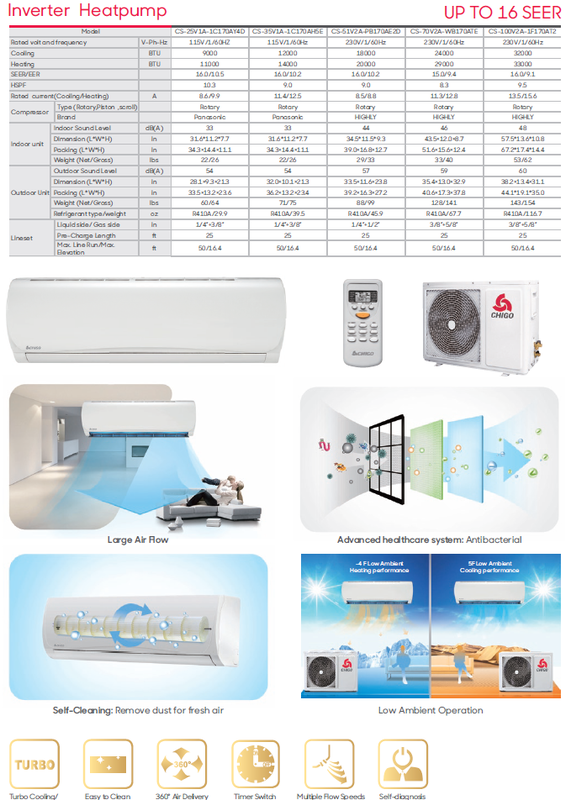 Chigo, endorsed by Jackie Chan, is an International Air Conditioner Supplier with more than 21 years experience in the refrigeration and air conditioning industry. Chigo possesses a modern R&D (Research and Development) production base and an entire industrial chain including compressors. By focusing on high end products, commitment to innovation and delivering ultimate comfort for global users.Chigo has gained magnificent popularity in more than 200 countries and regions across the world.